eMerchant is ACI’s own in-house e-commerce package. An unlimited number of products. Many levels of categories and subcategories of products. Thumbnail and larger view photos. Product descriptions which include HTML formatting up to 6000 characters long. Your company’s color scheme and company logo. An admin section in which you the merchant may add, remove, or edit your product photos, descriptions, and prices. Sale items and featured products. With real-time payment processing, credit card information is processed immediately online with fraud protection. If needed, ACI will help you establish a merchant account with a strong local bank. Email notification and/or online review lets you stay abreast of order activity. Sales are posted to your merchant account and deposits appear in you checking account at the end of the next business day. ACI does not receive or store credit card information. 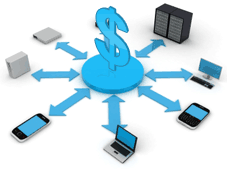 eMerchant uses Authorize.Net as a payment processing service. All transactions are fully PCI compliant. In addition, ACI can configure your website using other third party e-commerce packages and shopping carts such as PayPal, Fortune3 Storebuilder. We look forward to getting to know your business needs. Contact us today to schedule a free consultation.